Macdonald said people used to receive a second chance, but now "there is no forgiveness"
The former "Saturday Night Live" cast member told The Hollywood Reporter he was "happy the # MeToo movement had slowed down a little bit." 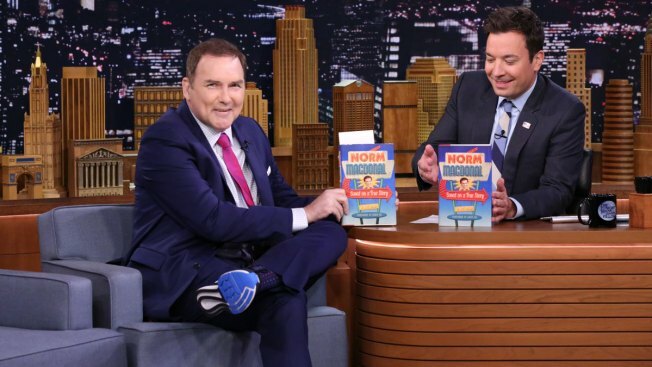 "The Tonight Show" canceled an appearance by Norm Macdonald after criticism of his comments about the MeToo movement and fellow comedians Louis C.K. and Roseanne Barr. In a statement, NBC said it canceled Tuesday's appearance "out of sensitivity to our audience." The former "Saturday Night Live" cast member told The Hollywood Reporter he was "happy the # MeToo movement had slowed down a little bit." Macdonald said people used to receive a second chance, but now "there is no forgiveness." Macdonald mentioned Louis C.K, who was accused of sexual misconduct, and Barr, who was fired from her show in May. Macdonald later tweeted an apology and said he would never "defend their actions." His new talk show, "Norm Macdonald Has a Show," debuts Friday on Netflix.